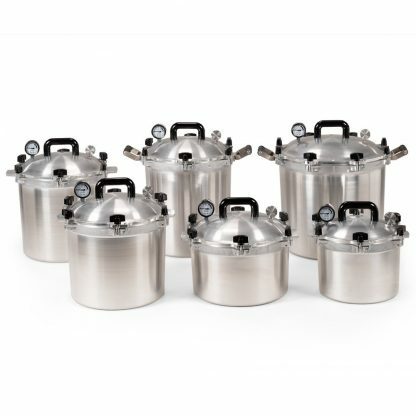 The All American line of pressure cookers offer the best and safest method for home canning. The U.S.D.A. 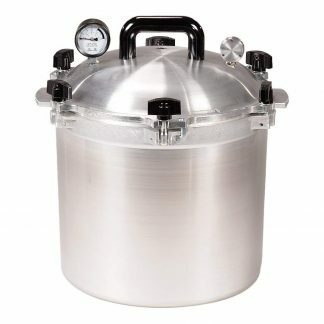 recommends that pressure canning is the only way to can meat, poultry, and all vegetables. 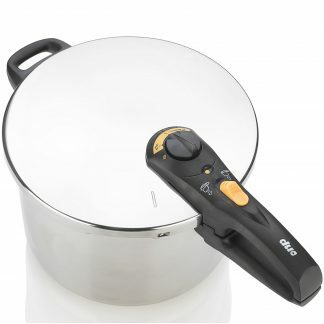 This unit has the capacity needed for pressure cooking inexpensive meat cuts to juicy tenderness in a short time and for preparing large quantities of food. As well as being capable of canning small batches for the home food preserver. Only All American Pressure Cookers feature an exclusive, precision machined “Metal-to-Metal” sealing system. 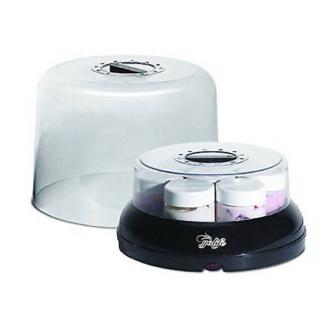 Positive action clamping locks align the cover to the base forming a steam tight seal. Because no gasket is involved, the cover is always easily opened and closed. 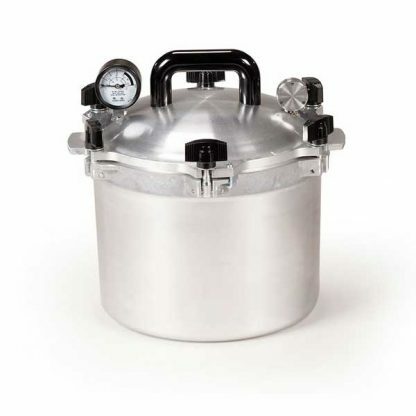 The All American Pressure Cooker 910 10 Quart is not recommended for canning fish.